Watch PTC Chak De Live with High Quality On YuppTV. 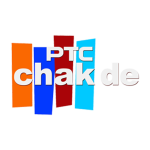 PTC CHAK De, is a 24 hour Punjabi music channel launched in March 2009. The channel offers Refreshing non-stop Music to the Punjabi viewers, and is a hit with the youth and the elderly alike.